For over 40 years, photographer Sandro Miller has been a heralded figure in the photography world. Clients like Reebok, NBC, Motorola, and Coca-Cola all turn to him for his inspired work as a commercial photographer. But it’s his personal, creative projects that have attracted international attention. 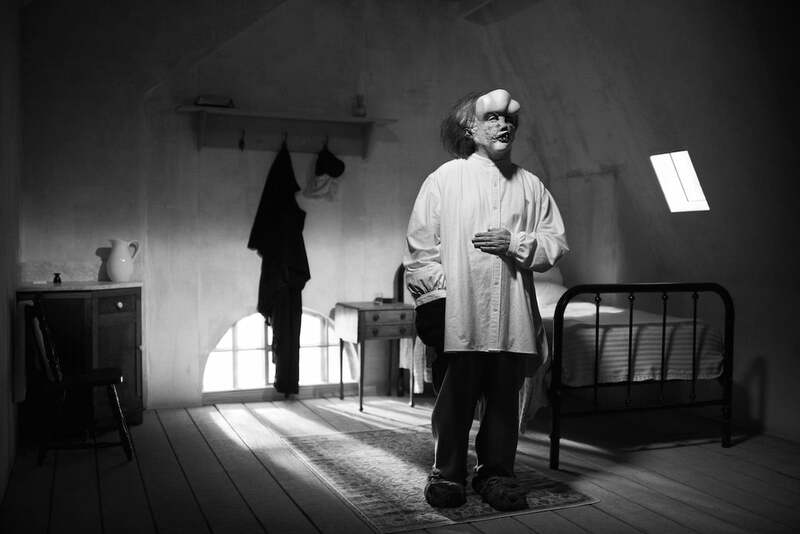 Working with longtime collaborator John Malkovich, his Malkovich, Malkovich, Malkovich: Homage to Photographic Masters was an international sensation. The series, in which the duo recreated 61 iconic portraits, won him the title of 2015 International Photographer of the Year at the prestigious Lucie Awards. 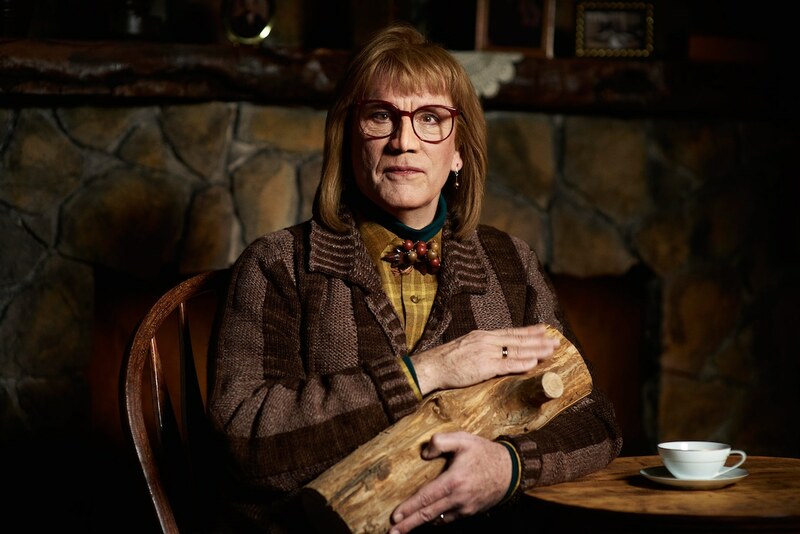 As a follow-up, Miller and Malkovich paired with the David Lynch Foundation to give themselves an even greater challenge—recreating eight of Lynch’s iconic characters. The result is Psychogenic Fugue, a nearly 20-minute short film where Miller and Malkovich immerse themselves in Lynch’s world. An incredible challenge, the film helped raise funds for the Foundation, which teaches at-risk youth and adults about the healing benefits of Transcendental Meditation. 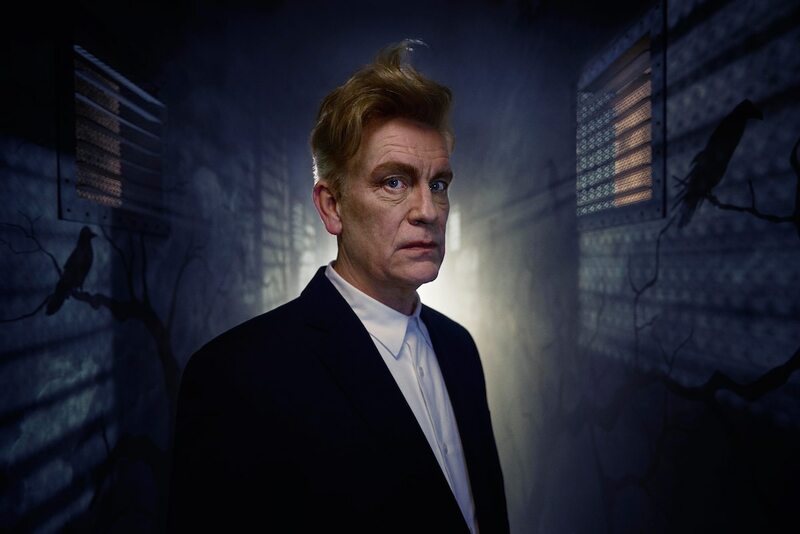 Most recently, portraits Miller shot during the filming of Psychogenic Fugue were on display at the Joshua Liner Gallery in New York as part of David Lynch’s Festival of Disruption. For the occasion, we had a chance to chat with the Chicago-based photographer about what pushes him to produce these personal projects, his relationship with John Malkovich, and what it was like trying to get into David Lynch’s head. Read on for the exclusive interview. Irving Penn was an early inspiration. How did his work move you? I saw his portraits of Pablo Picasso and a French actress named Celeste and they were raw, gritty, powerful, mysterious. Just really, really dramatic with lots of deep blacks and I’d just never seen anything like that in my life. They just resonated with me. It was something that told me, this is what I want to do. I want to create very powerful portraits, portraits where someone will look and think, ‘Who is that person?’. I want to create portraits that stop someone in their tracks because they want to know more about who that person is, what happened during that sitting, what was going on between the photographer and the sitter. That’s just how powerful those photographs were for me. At 16 years old, they just completely changed my life. You touch on the power of storytelling, which is a big aspect of making films. When did filmmaking come into the picture as an extension of your photography? I’m 42 years into my career as a photographer and I’ve really gone forward and made both of them a huge part of my lifestyle and career. For me, I really feel like there’s a necessity to push myself and play with other mediums. I also do some writing. I’m known as a commercial photographer and as a photographer who creates artwork. I never just walk down one path; I’ve always felt the need to expand myself and to use different mediums to be able to get in touch with different parts of my mindset, feelings, and ideas. I’m always looking for something I can creatively tell a story with. So it’s about doing more instead of doing less and expanding who I am as a creator. So many creators are afraid to move outside their box, yet this isn’t the case with you. You mentioned your work as a commercial photographer. How do you feel your personal, artistic projects enhance, or feed into, that work? I truly believe that it’s my personal work that really keeps me on top of the game and wanted as a preferred high-end photographer to work with. I don’t think it’s an ad campaign that these creative directors are taking a look at and saying, ‘Hey, I want to use him for my campaign.’ I think they’re looking at the personal work, the work that comes from my soul. For me, I’ve always thought that it helped me climb the ladder and reach that elite top tier of photography. And it also gives me so much more PR. The personal work is really the work that resonates with the world, while the advertising work resonates with the advertising community which, in the grand scheme of things, is very small. But the personal work really reaches the soul and heart of so many people. There are interviews and magazine articles, there are exhibitions and now social media. The power of social media is tremendous. I think any great commercial artist—if you’re doing art for income—you must also do work for your soul. Work that’s not made to generate money, but to satisfy what’s inside of you—that artistic bubble that’s yearning to get out. Turning toward your creative projects, you’ve worked with John Malkovich on Psychogenic Fugue and Homage to the Great Photographers. Can you share how you first met and began working creatively together? I’m based in Chicago and here there is a world-renowned theater group called Steppenwolf Theatre, which has a tremendous ensemble. A little over 20 years ago they approached me to help them develop a brand and came to me for my portrait photography. We started with the ensembles, doing these raw, gritty black and white portraits. And John, being an ensemble member, was brought into the studio for me to do a series of images for the theater. Since we had the setup, at that time I asked John’s permission to do a couple of things that I’d had some ideas for and I thought he’d be wonderful in. I executed those ideas and John loved the work we’d done together. Really, there’s a way I work with people—it can be a celebrity, the President of the United States, or a kid off the street—I deal with everyone with love, care, and respect. And when you do that with people, they really understand you care about them. I think John really took to the way I cared about how he felt, how he looked, and his time. We managed everything to where it was perfectly executed and he really enjoyed that. From that day, every time he came to Chicago, we would make that call to each other and say, ‘Hey, want to get together for another round of portraits?’ In this way, John became my muse. He never came to me with an idea, he never came and asked to be photographed one way or the other, or as any particular character. He simply would come in, listen to my ideas, become my muse, and go into it. We were creating little plays, and like two little kids we would act them out. We’ve been doing this for 22 years—just two boys having fun and really enjoying what we’re doing. We all know that John Malkovich is a skilled actor, able to embody any character thrown his way. What else is it about him that makes him such a great creative partner in these projects? John is a lot like myself—he’s a perfectionist—and when I would send him the characters for Homage to the Great Masters, he would begin to study these characters. He would begin to get into these characters while he was on the road and then he would come to the studio. Each of those characters took minimum 2.5 hours of makeup, hair, prosthetics, and wardrobe. We would place the original image in our dressing room and he would go really deep into that character. And for John, it was all about really becoming Marilyn Monroe, becoming Che Guevera, becoming whatever character I would ask. He needed to become that character and it was his aim to become perfect. He knew the way I worked, the way I planned my work, and the time I dedicated before he ever came to the studio. He knew that my goal is absolute perfection; there was no room for that project to not be executed to perfection. Because it could have been a big joke, really a horrific project. Think about it. You’re going to redo Avedon’s Beekeeper? Are you nuts? That could have easily gone down a bad path. But because they were so well thought out and because we both did so much research and planning, we both nailed it and it became a very famous project. We both trust each other and when you are making yourself that vulnerable, you need to have a tremendous amount of trust in your partner. Even with the crew, it takes an army to produce images like that. We get a lot of the credit, but it takes an army. You have to have a really good crew and you have to be able to delegate to them in ways they’ll perform at the highest level. And that’s where you get perfection from everybody. Psychogenic Fugue is a project made to benefit the David Lynch Foundation. How did the project come about? I worked on a film called Hell with John that was him reciting Plato’s Allegory of the Cave. A friend of mine in the music business, Eric Alexandrakis, had an idea of gathering wonderful musicians to do a music cut to John reciting Allegory of the Cave. From that project, we felt like we had something we wanted to share with other creative forces and we thought of David Lynch. So we reached out to a man by the name of Erik Martin, who is with the David Lynch Foundation, and we had a meeting. Erik was familiar with the Homage work and he loved the idea of collaborating. So Erik, who became the visionary behind the project, brought it to David. And David was also familiar with Homage and he was very impressed by it. David said he’d like to do a project where we could collaborate together, do something for the Foundation, and raise money together. David allowed me to come up with a script for a short film. What we did was reach out to David’s fans via social media and found out who were the eight most famous or well-liked characters of David’s. From that survey, I went deep into David’s films and chose scenes that I felt really resonated with my script and that we could recreate. After writing and rewriting the script 13 times, David gave us a thumbs up to produce the film. What was his reaction to seeing the final product? David absolutely was blown away by the project. Mostly because he saw the love and care put into that film. You have to imagine that it’s quite intimidating to be asked by David Lynch to recreate his characters and his scenes. No pressure there! But I was working with John Malkovich and we had David’s blessing, so when you have those two in your court, it’s like playing baseball with Babe Ruth and Mickey Mantel—it doesn’t get any better. And then it came down to pulling in a great crew. I brought in a writer, Steven Sagan, who worked on a lot of B-films. He was a great asset to the crew. What was the production time from when you first thought of the idea to filming and release? Well over a year. Once David gave us the thumb’s up, then we needed to find a sponsor that would help us fund a project. It was perfect timing and alignment that Squarespace came on and could do something wonderful for the Foundation. They did a terrific social media blowup all over the world that helped get recognition around the world. It was a win, win situation for everyone. What was the most challenging aspect of the film’s setup? To recreate somebody else’s work that’s already been done. David isn’t thinking about somebody else’s lighting, David is creating David’s lighting and however it ends up, it’s David’s. And how he did that, it’s between David and his Director of Photography. Now I have to get into his head and figure out what David was feeling at that moment, why he wanted this type of light, where’s this light coming from, the quality and style of the light. Recreating somebody else’s light is by far the most difficult thing to do. You can look at pictures of a set, a good set builder can take a look, and he has all the time in the world to recreate the set down to the most finite detail. Wardrobe, we could do that. You take a look at it, you blow it up, you Google it, you study it, and you can recreate the clothing. But light is not something tangible. I’m trying to get inside of David to figure out exactly what he was trying to accomplish with his lighting. There’s so much to think about when it comes to lighting. If you miss the light, you miss David Lynch. With such a distinct point of view as a director and with such a devoted following that has such high expectations, I can see how that could be a challenge. The fans could not have sat there for 20 minutes and looked at a fake—someone who was trying so hard to reproduce David Lynch and just missed it. It would have been a disaster, so it’s the amount of research that we put into these projects. It takes hundreds and hundreds of hours and practice. I have to go in and practice the lighting before John shows up because now with John, I have 8 different scenes I have to create. And they’re all very deep with detail and I have four days to do it. There’s a lot on the plate, but every film takes a lot of energy, people, and thought. Was there any scene that stood out to you in particular? Each character is equally as important to fans of David Lynch. 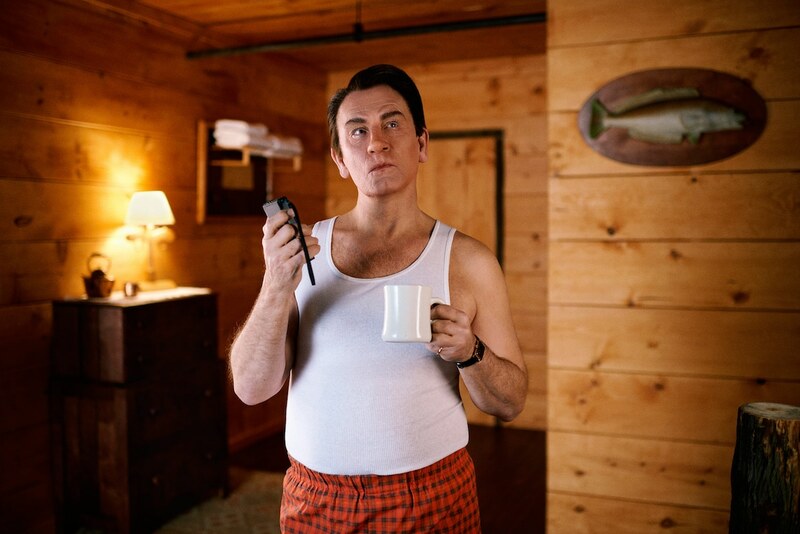 Kyle McLaughlin—Agent Cooper—was the number one character in all of David’s films that people resonate with. 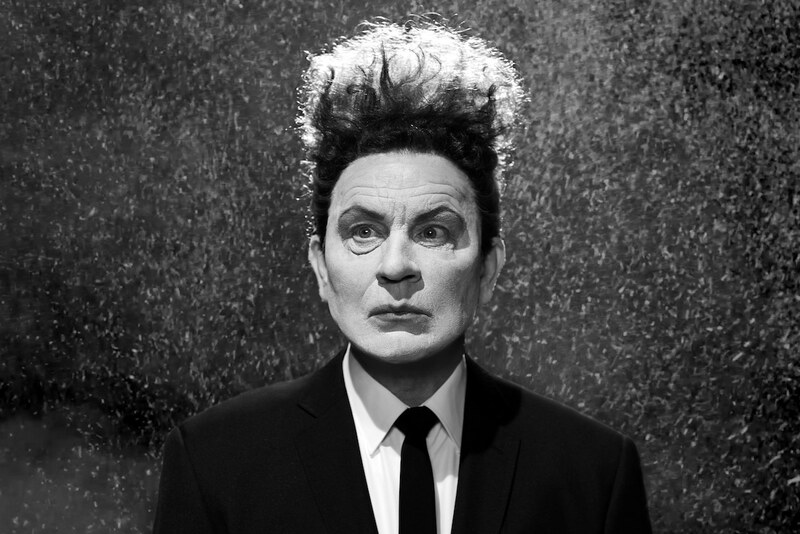 But then you take a look at Eraserhead, Henry Spencer, it’s so powerful and it’s that film that put David in the eyes of the art world. It’s such an amazing film and continues to get more and more powerful. Every character really, we had to go deep to pull each character out to perfection. 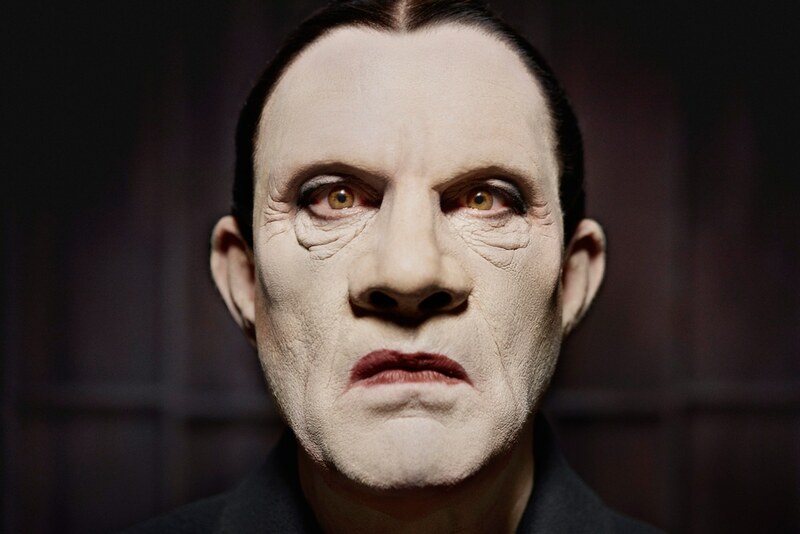 But I do remember that when John got into his prosthetics for Elephant Man and he put on his room and we had that room lit. And it looked right out the scene from Elephant Man and John went into his dialogue, reciting The Lord is My Shepherd, I remember fifty percent of the crew was crying. It was so emotional. John’s delivery was so dead on and done with such heart, that it left the crew…you couldn’t help but cry. It was so beautiful. You felt the pain that Elephant Man had gone through. And John just nailed it so beautifully. He’s a genius. I don’t think I’ll ever work with anybody that has the ability to become somebody else in such a way. He’s so believable. He’s so intelligent in the way that he works. The method he’s developed to become these characters is like nobody else. I don’t think there’s anybody else I could have worked with that would have pulled it off. In terms of the still images. How long did you have to get those in the midst of the filming? Minutes. Three minutes for every photograph. I had 60 people on set and when you start counting the dollars…. I don’t want to say it was an afterthought, but the whole idea was the film. But I just couldn’t let these amazing scenes go by without capturing them in still because they’re so powerful. The images were just on display in New York as part of the Festival of Disruption. Do you have plans to show those images in the future? I’m not 100% sure, I think we may show them at Chicago Expo. And they will continue to be available to the David Lynch Foundation for anything they may ever need. I’m very involved with the Foundation and I believe in the work that the Foundation is doing. I think David has taken on a venture that is so positive and powerful, and truly so needed in our world. Meditation is something that truly changes people. And the work is good. So I’m behind David with whatever he needs from me. There’s some buzz that the Festival of Disruption might come to Chicago next year and so I’m sure we’ll have them available for the fans to enjoy. It’s a great weekend, completely Lynchian, with three days of craziness. And for you? Any new projects on the horizon? I’m a nonstop maniac. I just don’t stop. I’m approaching 60 this year and I have so many ideas and want to continue to be prolific as I’ve always been. So right now I’m working on a black hair project, shooting African and African-American women with their hair styled in wonderful, beautiful, powerful ways….setting themselves free with their hairstyles. It’s called My Hair, My Soul, My Freedom. That’s a big project I’m working on right now. I’ll be going to Johannesburg in November to finish the project. I’ve shot 80 portraits here in Chicago and hope to do the same in Johannesburg. I just finished my last trip to Papua New Guinea. I did a project with the Smithsonian on indigenous tribes I’ve been shooting over there. Right now I’m working on the book and we’re hoping to get that work out into the exhibition world by sometime next year. And I have a bunch more projects just swimming around my head ready to come out. My Modern Met granted permission to use photos by Sandro Miller. 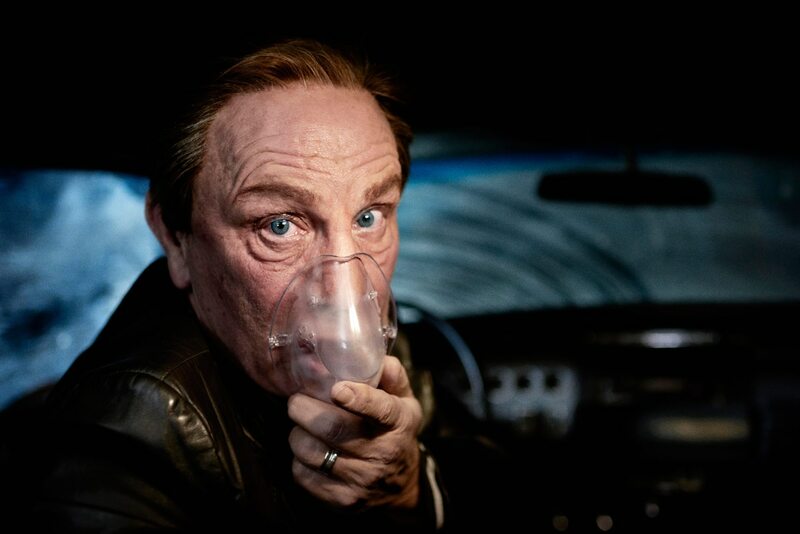 The post Interview: Sandro Miller and John Malkovich Go Inside the Mind of David Lynch appeared first on My Modern Met.